At Regal Awnings, we can provide your property in Watford with the ultimate outdoor solution in order to enhance your exterior and provide practical and stylish shading, in the form of our residential awnings Watford. 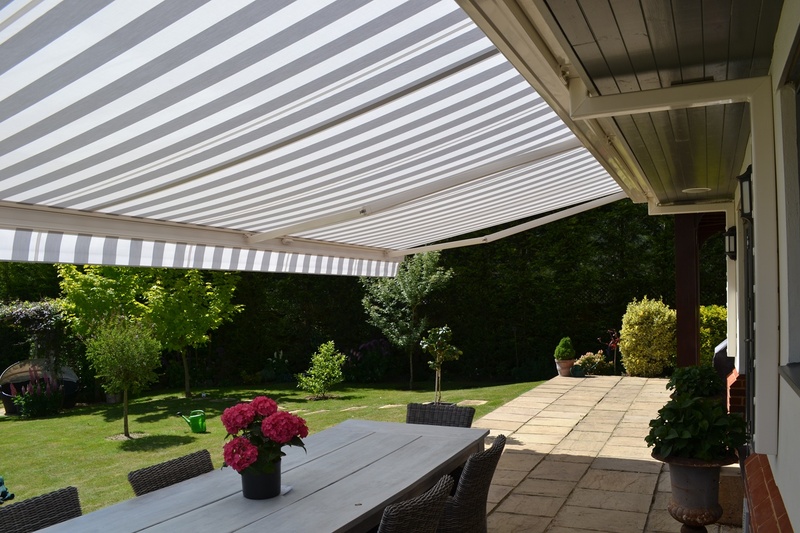 Our awnings offer an opportunity for you to extend your outdoor living space, as well as protect your home, your children and yourself from the glaring sunlight in the summer months. Whether you’re a regular entertainer in your garden, or you’re looking for a comfortable area to relax in alone, our bespoke awnings in Watford can be the ideal solution. 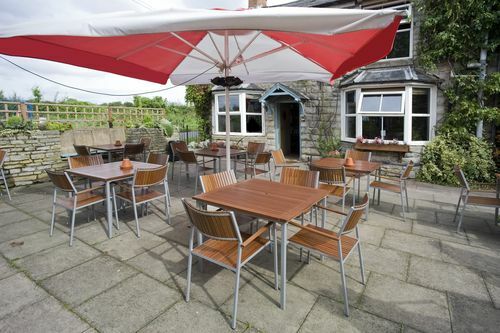 Retractable and easy to maintain, our awnings in Watford are custom-made in order to provide you with the perfect fit. There are a broad number of solutions that you can choose from our range here at Regal Awnings, with garden awnings offering a great way to brighten up your home, and Dutch Canopies offering a fully-automated shading solution for your garden. Alternatively, if you’re looking for a made-to-measure solution for your patio alone, our patio awnings can be the ideal solution for your home. At Regal Awnings, we have the ability to meet your every requirement. With the highest quality materials used in every single one of the awnings we produce, and the opportunity to enjoy a long-life span without having to consistently maintain your awning, there are many reasons why you should choose our residential awnings Watford. Residential awnings Watford offer a bespoke solution for your garden, without the costs of having to redo your entire garden or installing a conservatory. However, the cost-effective attributes to our awnings in Watford doesn’t mean we compromise on quality. In fact, every single one of our awnings is designed and created with the utmost care. Alongside providing you with your choice of residential awnings Watford, we also offer a professional installation service in order to ensure that your new awning is completely secure and fixed in place. Whether the awning is retractable, automated or still, all of our awnings are exceptionally durable and resilient against even the most adverse of weather conditions. Our residential awnings Watford are easy to maintain, and all you need to do is simply wipe any dirt or grime off with a damp cloth. This means that they can remain in prime condition for a long period of time, and you can relax in the shade without any worries. 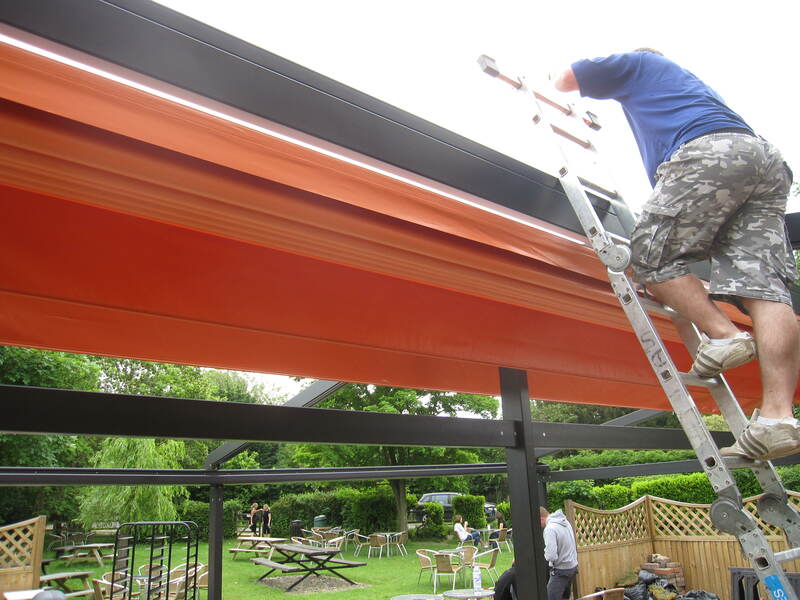 The awnings in Watford we provide are completely tailored to your requirements. Whether you would like a large awning which provides cover for a large garden, or a smaller awning to provide shade over your patio alone, there are a number of options for you to choose from. With a range of designs to choose from in order to ensure that your awning matches the style of your property, and with our Dutch Canopies in particular, more than 300 fabrics to choose from, there’s plenty of options for your home. To find out more about the services that we provide here at Regal Awnings, or to have a clearer understanding of our professional installation service, get in touch with a member of our team on 01708 869 290. We can provide you with the opportunity to design and build the sheltered space you’ve always wanted in your outdoor living space. Get in touch today.